The only operator flying from Belagavi, Spicejet is likely to shut all its operations from Belagavi from January 16, 2015. 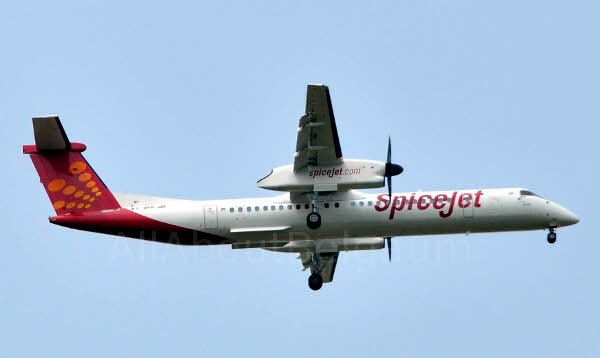 Sources have told that, spicejet had asked for time to re commence its Hubballi operations from January 15, and now it seems it will close all its operations from Belagavi from January 16. People who have booked tickets after January 15, have got messages saying their flight has been diverted to Hubballi. We need to get back the glory of bgm! It is a Division, an administrative Division! moreover its heaven with it’s climate and nice people. If other places improve, let them and it should.. that’s the point.. let all progress! but we need What’s due to our city! It is not permanant ,once Sambra Airport is upgraded ,again they will start operations by Dasara /Diwali of 2015.
do we have exact date as to when the service is going to resume, cause i need to book. The MPs MLAs, belongs to Belgaum must be aggresive cn this issue. Very bad news, why all importance is given to hubli? despite being a center location between Hubli, kolhapur,Sangli, goa and bagalkot; belgaum would have been ideal location for passanger airport. Hubli has already got major railway and bus head quarters. it is very painful and foolish.